These are configuration file changes I use to improve DCS World. 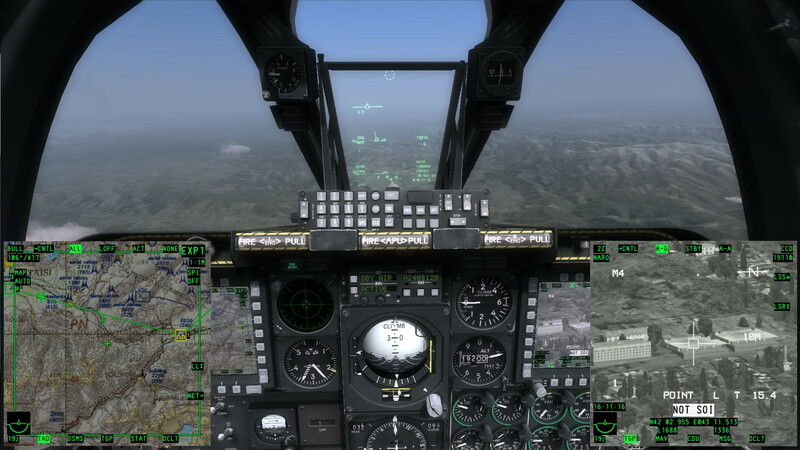 The human eye has much greater resolution than the DCS World graphics engine or a desktop monitor can simulate. In the real world, one can see individual vehicles moving from an airplane window at 30,000 feet. In DCS, you’re lucky if you see an object a few miles away, since it’s just a few pixels on the screen. Unfortunately, the default labels go too far in the opposite direction and make the sim very easy. This modified labels config adds a gray dot to objects to make them more visible at range, without giving critical information such as weapon type or IFF. If you only have a single monitor, being able to read the MFCDs can be tricky (even with a head tracker). This config puts the MFCDs displays into overlays in the corners of the monitor. These are my personal preferences for AN/ALE40V programs. A-D are for defending/evading while under attack, E-G are for preemptive measures, and H-K are for fully manual control and signaling. Do not modify any lines other than the CMS programs.